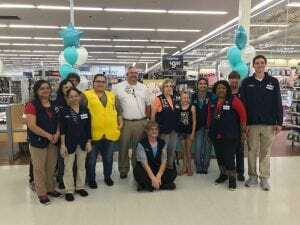 September 11, 2018 | By Fatima V.
This past weekend Children’s Health CMN Champion, McKenna Rodolph , participated in a Walmart associate event at the Walmart supercenter off Trinity Mills Road in Carrollton. 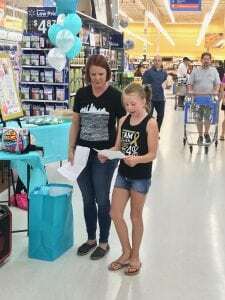 McKenna and her mother came to the store to share their story and journey about childhood cancer and battling leukemia. McKenna and her mother encouraged associates to continue to fundraiser for children like McKenna and their patients needing treatment. This week marks the halfway point in Walmart’s POS campaign. Go out and support Children’s Health by donating to CMN at your local Walmart or Sam’s Club. Previous post: Stop by Love’s Travel Stops!